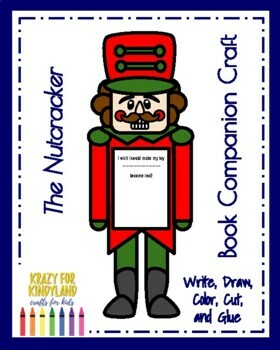 After you read The Nutcracker, ask students to imagine a toy coming to life. 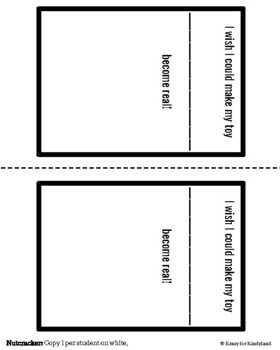 Have them draw toys they wish would come to life. Teacher or student writes word on the line. 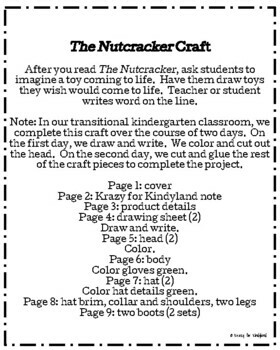 Note: In our transitional kindergarten classroom, we complete this craft over the course of two days. 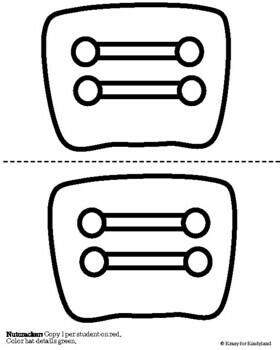 On the first day, we draw and write. We color and cut out the head. On the second day, we cut and glue the rest of the craft pieces to complete the project.